Developer Epic Games has rolled out the eighth season of content for its massively popular Fortnite multiplayer game. In Season 8, players will be able to experience new locations, weapons skins and emotes. This time around, content is themed around the rivaling pirates Ice King and the fiery Prisoner. Players will be able to use a new pirate-inspired cannon that can deal massive damage or be used to blast themselves to reach higher places. 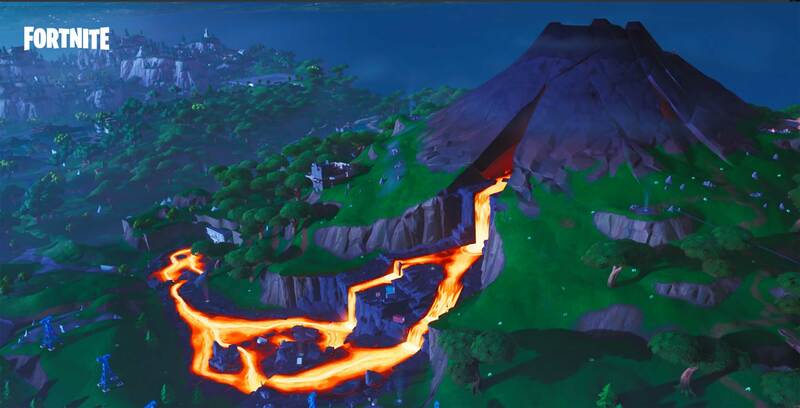 Meanwhile, a new volcano has taken up the north of the map where Lazy Links used to be and can cause damage to anyone who touches its lava streams. Finally, volcanic vents will be scattered throughout the map that can launch players and vehicles into the air. Outside of all that themed content, Season 8 also adds a ‘danger’ point mechanic that takes a cue from rival battle royale game Apex Legends‘ inventive ping system. Now, players can double-click the hotkey to leave a marker that notifies teammates of points of interest, such as an enemy’s last-sighted location. A full breakdown of Season 8 content can be found on Epic’s website.